JEFFERSON CITY–The Missouri Conservation Commission set dates for 2013 turkey- and deer-hunting seasons at its December meeting, giving hunters plenty of time to schedule vacation. New Haven, Mo. 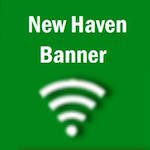 – Monday night at 10:59 p.m. New Haven/Berger Fire initially was dispatched to Hennings Automotive for a fire alarm sounding. Minutes later fire crews were re-dispatched for a first alarm commercial structure fire after New Haven Police advised flames could be seen and evacuation was in progress. Washington Fire Department’s ladder truck was also dispatched along with one pumper to assist.